Warm yellows and sage greens make this corner room a quiet and restful place to return to at the end of a day. The bedroom has two twin beds surrounded by hand printed English striped wallpaper, and a collection of vintage books. 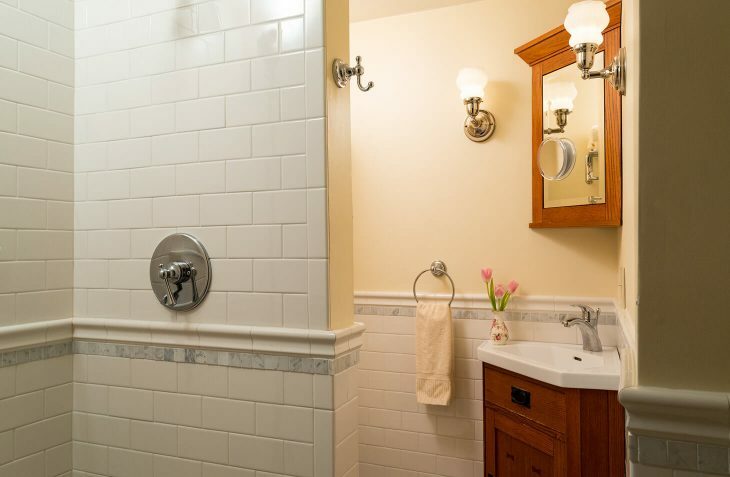 The small private bathroom has a walk-in shower, and is nicely appointed with tile and marble. The room looks out past climbing hydrangeas to the garden’s wrought iron chairs, a perfect spot to sample afternoon tea. 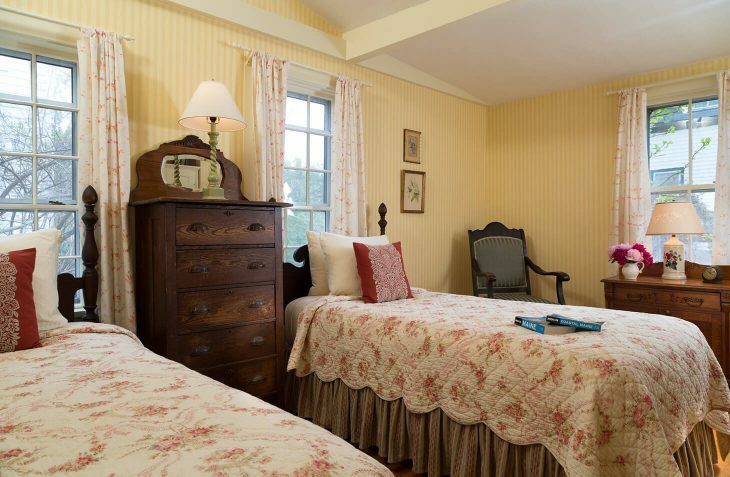 Travel to Castine, Maine to enjoy the quaint beautiful coastal town and our historic Maine B&B.